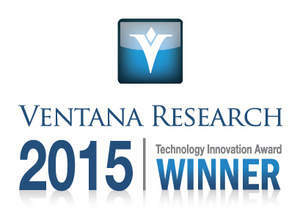 REDWOOD CITY, CA--(Marketwired - Oct 9, 2015) - Host Analytics, the leader in cloud-based enterprise performance management (EPM), today announced that Ventana Research has named the company a winner of their "2015 Technology Innovation Awards," which distinguish pioneers that have developed clear visionary and transformative technology. The leading benchmark research and analyst firm has named Host Analytics Modeling as the winner in the "Office of Finance" category. Host Analytics Modeling helps bridge the finance versus operations divide by linking operational models to financial plans and forecasts. Offering secure Excel, web, and mobile user interfaces, Host Analytics Modeling allows users to perform advanced modeling on large volumes of data by creating what-if scenarios and adding members and calculations on the fly in their own environment. These features enable organizations to unite their financial and operational planning to better anticipate business outcomes and inform financial plans. 2015 Technology Innovation Awards Webinar on October 16th at 10:30am PT to get a first-hand view of the award winners and insights into these award-winning technologies. This is the second honor in 2015 for Host Analytics from Ventana Research, which recently announced that the company received the highest product rating among pure cloud-based planning vendors and was named a 'Hot Vendor' in the firm's report "Value Index: Business Planning in 2015." "Technology innovation in finance has not been easy since the financial and accounting processes have been rooted in a world of disconnected spreadsheets. However, through its breakthrough approach to financial modeling, Host Analytics now enables organizations to eliminate these inefficient processes and conduct critical analysis from a single source of truth," said Mark Smith, CEO and chief research officer at Ventana Research. "Congratulations to Host Analytics for continued innovation with Host Analytics Modeling that unites finance and operations, allowing key stakeholders across the organization to better anticipate business outcomes and inform financial plans." "As the office of finance has evolved from an organization mired in analyzing the past to a trusted partner helping guide the future of the business, it's become clear that the need for powerful Modeling capabilities that provide deep insight has become 'must-have' for any leading EPM solution," said Bryan Katis, SVP of product management for Host Analytics. "We're thrilled to be recognized by Ventana Research for the second time this year, which is further validation of the innovative financial solutions we can deliver to customers via the cloud."